Product prices and availability are accurate as of 2019-04-17 00:47:31 EDT and are subject to change. Any price and availability information displayed on http://www.amazon.com/ at the time of purchase will apply to the purchase of this product. Creative ideas can come at any time and what could be better than capturing that momentum and paint what you are seeing or thinking at the right moment when inspiration comes no matter of where you are. 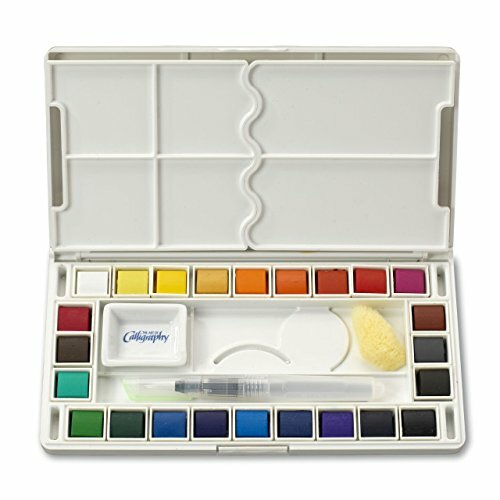 This Jerry Q Art 24 Assorted Watercolor Pocket Set is specially designed to fit in your pocket and perfect for painting on the go. 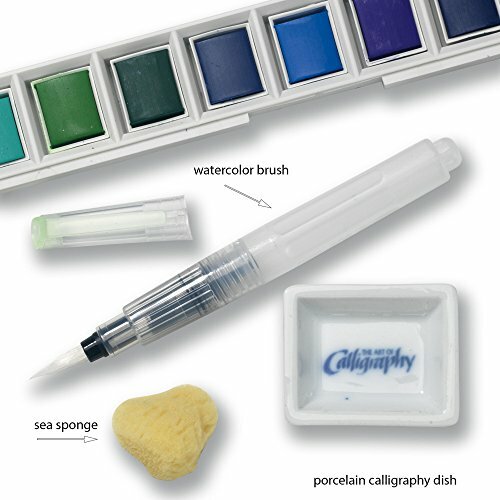 24 easy to blend colors with a FREE Water Brush to transport and store water, a Porcelain Calligraphy Dish and a Sea Sponge in the kit. 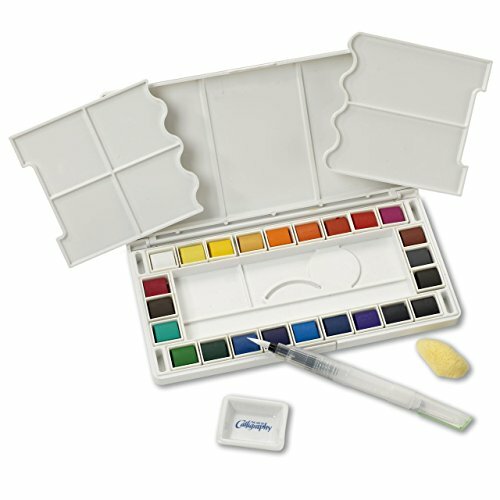 Built in Palette, 24 mini watercolor cakes all in a sturdy small plastic box. Great Value, just the half pans themselves are of great value deal. Ideal for artist of any age, students, hobbyists... Perfect set for a gift. Enjoy!! !